On the occasion of the International Day for Solidarity with the Palestinian people (29 November) and the 25th anniversary of the establishment of Vietnam - Palestine diplomatic relations (19 November 1988 - 19 November 2013), the Embassy of Palestine in Hanoi organized the Palestine Film Festival from 4th to 9th of December, 2013 at Hanoi Cinematheque. Ambassador of the State of Palestine to Viet Nam, H.E. Mr. Saadi Salama, and Mr. Dang Huy Dong - Deputy Minister of Planning and Investment of Vietnam, signed the Agreement for Promotion and Reciprocal Protection of Investments between the two countries. 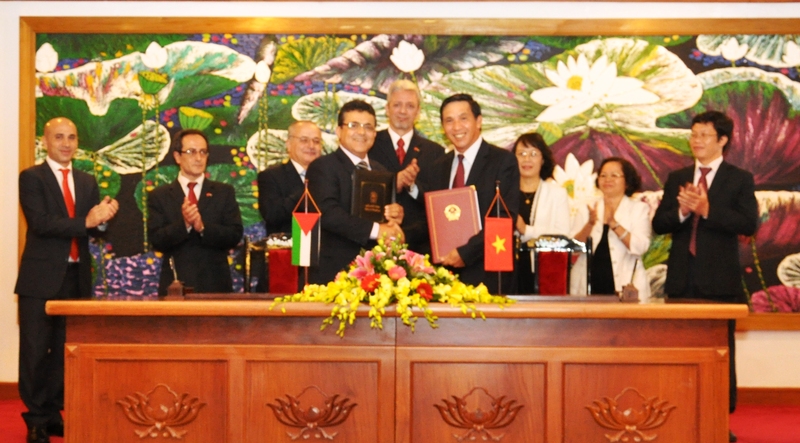 Ambassador of the State of Palestine to Viet Nam, H.E. 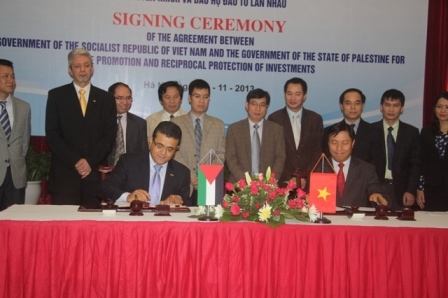 Mr. Saadi Salama, and Mr. Truong Chi Trung - Deputy Minister of the Ministry of Finance of Vietnam, signed the Agreement on Double Taxation Avoidance between the State of Palestine and Vietnam. 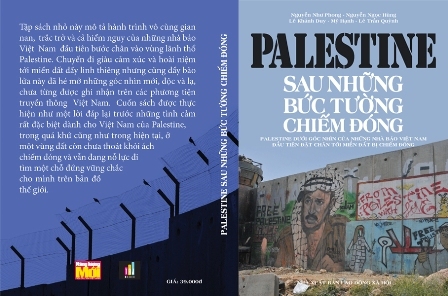 A book and documentary film entitled ‘Palestine In Between Occupation Walls’ by a group of Vietnamese journalists were presented in Hanoi on October 12. 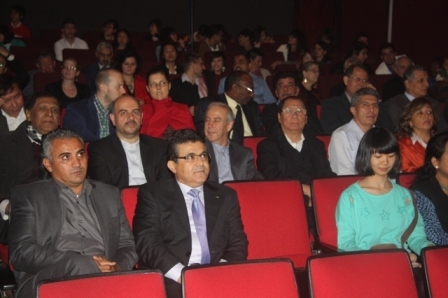 The event was held jointly by the Hanoi Union of Friendship Organisations, the Palestinian Embassy in Vietnam and the Vietnamese National Library. 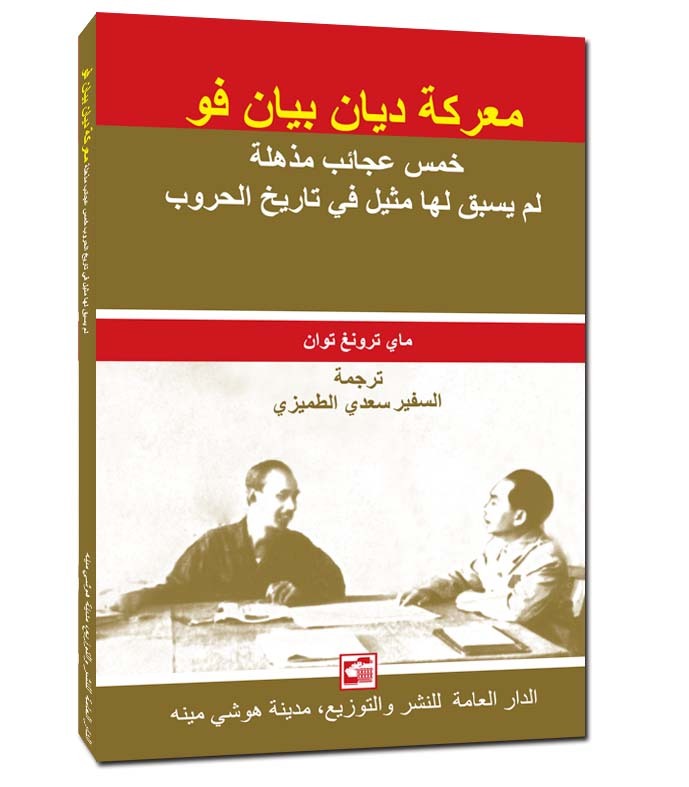 After the publication of the book Dien Bien Phu: 5 unprecedented prodigious facts in the war history by author Mai Trong Tuan in five languages: Vietnamese - Russian - Chinese - English and French, Ho Chi Minh City General Publishing House has just published this book in Arabic. Mr. Saadi Salama - Ambassador Extraordinary and Plenipotentiary of the State of Palestine in Vietnam translated the book and wrote the foreword. The publishing house presented 500 books to Palestinian people through Mr. Ambassador. Remarks by H.E. Mr. Saadi Salama at the Book Release and Film Screening Ceremony: "Palestine in between the Occupation Walls"